Pictured above is our AME Sampling System. This rig gives RDC both direct push as well as hollow stem augering capabilities in one small but powerful package. 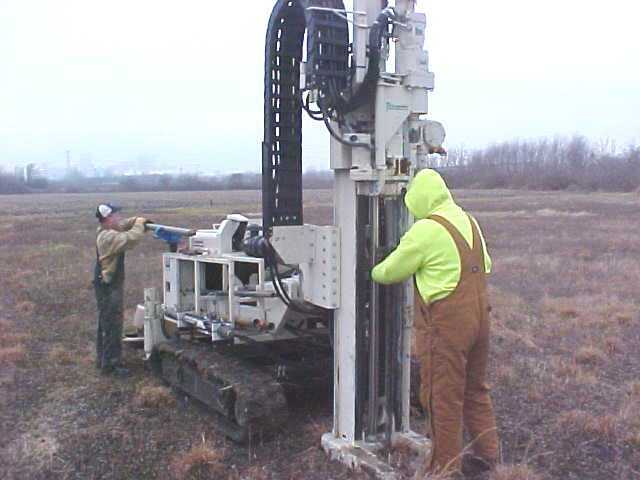 It offers you cutting-free site investigation and will install up to 4 inch monitoring wells with one trip, one rig. Both these rigs give RDC direct push capabilities, along with the option for hollow stem augering, in small but powerful multi-terrain applications. 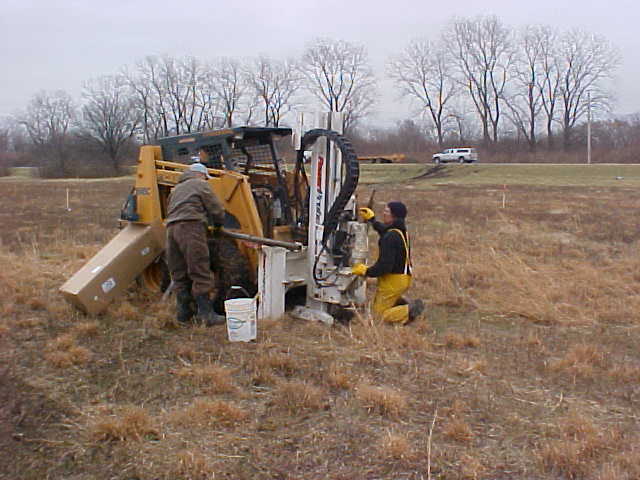 They offers cutting-free site investigation, and can install up to 4 inch monitoring wells in one trip.